President Trump is the 45th President of the United States, and he believes tariffs are a cure for America’s trade issues. Candidate Trump replied: That’s wrong. They were wrong. It’s the New York Times, they are always wrong. I love free trade, but it’s gotta be reasonably fair. I would do a tax. And let me tell you what the tax would be, the tax would be 45 percent. That would be a tax that would be equivalent to some of the kind of devaluation that they’ve done. They cannot believe that we haven’t done this yet. On Air Force One on September 7, 2018 while heading to Fargo, North Dakota, President Trump said that the Administration would soon release a plan to add tariffs on $200 billion worth of China imports—adding to the 25% tariff already being imposed on $50 billion—and indicated that he had another $267 billion list of products to target “on short notice.” Quick fuzzy math says that would cover more than the $505 billion of total Chinese imports that came into the USA last year. The 10% tariff on the list of $200 billion worth of U.S. imports from China went into effect this week. Furthermore, the Administration has indicated that it plans to increase this additional tariff rate to 25% on January 1, 2019 and made clear that it will bring forward additional tariffs if China retaliates. 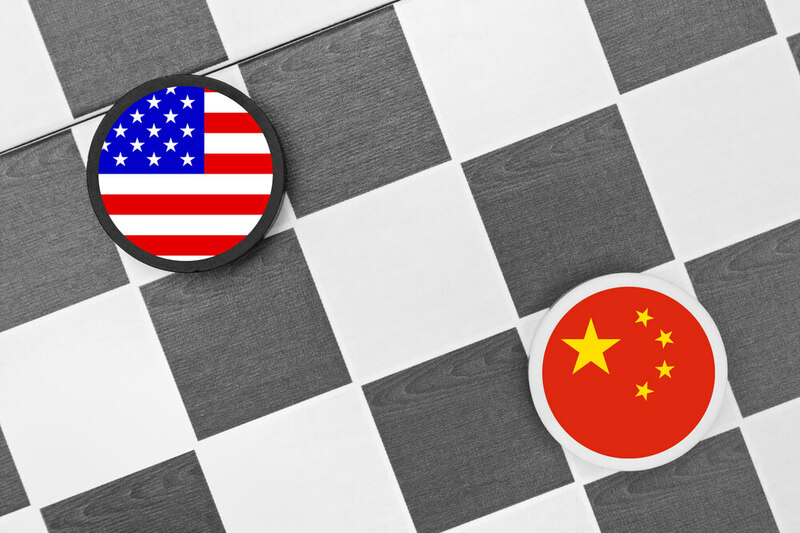 China retaliated shortly after the U.S. imposed these tariffs. Consider this: if you are importing a product with a 20% tariff, and the Administration adds an additional 25% on top of that, you are now paying the 45% that the President promised during the campaign. Those who endeavor to read the Constitution quickly learn that the U.S. Congress is tasked with managing international trade policy. However, over several decades certain aspects of this responsibility has been ceded to the Executive Branch to streamline negotiations. As part of this transfer, there are certain trade actions that the President can take without the input of Congress. It is in this legal grey area, where Sections 201, 232, and 301 have come into play, that the Administration has unilaterally imposed tariffs on imports of washing machines, solar panels, steel, aluminum, hand bags, purses, textiles, hats, and sewing machinery. As the Administration continues to accelerate taxes upon our supply chains (in response to cheating by others), Congress has failed to intervene. This means that it is up to us to create real, positive change for American businesses, American consumers, and American workers. Only by speaking out against these policies and the harm they will cause to the economy will we be successful in our quest. I am writing this missive exactly 45 days before the mid-term elections, as our 45th President of the United States is working towards imposing a 45% tariff on imports from China.